The next breakout Kickstarter project may emerge outside the U.S. for the first time ever, now that the popular crowd-funding site is preparing to expand overseas. The start-up announced on Twitter that people in the UK will be able to launch projects starting this fall. Up until now, all projects had to originate in the U.S. though it was possible for projects to be funded by anyone around the world. The main limitation was Kickstarter’s use of Amazon Payments (s amzn), which was until last year limited to the U.S. Kickstarter relies on Amazon Payments because it allows for instant charging when a project meets its goal and cancels pledges immediately if it fails. With the geographic expansion beyond U.S. shores, we should start to see similar quirky success stories on the other side of the Atlantic. I asked Kickstarter for more information about its international plans but a representative declined to comment. Kickstarter has proven to be a game-changer for a lot of creators and gadget makers. Last year, users pledged $100 million to projects and by May of this year, the platform had received $250 million in pledges overall. Though it started out as a funding mechanism for artistic projects, the platform now supports a number of projects in the design and technology categories. Success stories like the Pebble smart watch, which raised more than $10 million, have helped demonstrate Kickstarter’s potential in getting hardware projects off the ground and even helping developers build software platforms. The crowd-funding service unveiled a new stats page last month, breaking down categories by successful and unsuccessful projects. To be sure, there are still a lot of projects that don’t make it on Kickstarter and my colleague Michael Wolf has a good analysis of what works and doesn’t. 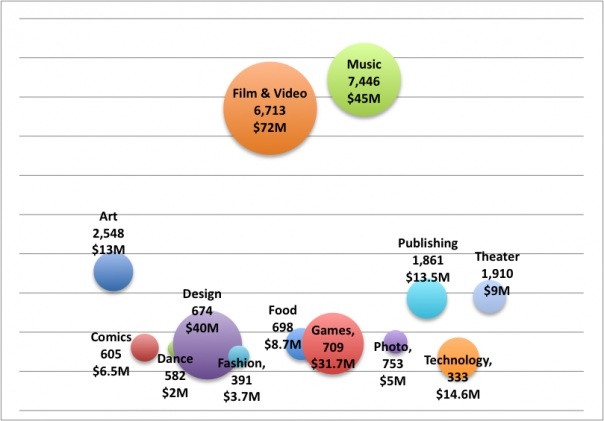 It’ll be exciting to see what other creators around the world can do with Kickstarter in their corner. There are other crowd-funding mechanisms but Kickstarter has such a big audience and a track record for success that it offers a huge boost to people who can figure out how to use it to its fullest. As co-founder Perry Chen explained to GigaOM in May, he wants to see Kickstarter go from being cool to just being an important tool that anyone can use. Going global will certainly help with those plans. You start from being something that works really well and is cool. That’s what makes people want to use it. Then you ride that for a little bit, knock on wood. Then at some point this magical thing happens where you become a utility. You’re like Wikipedia. You’re like CraigsList. That’s really where we want to take this. We want people to understand very simply how Kickstarter works and how they can use it. It’s just a utility out there on the web. Cool to see. 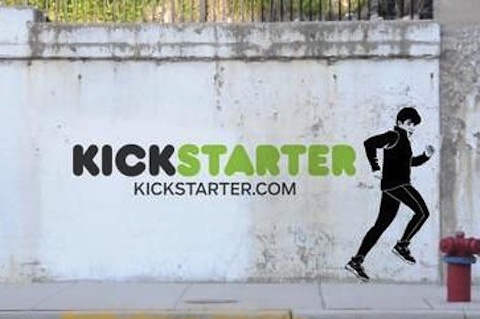 Kickstarter has missed a huge market by not allowing non-americans to run campaigns. So that’s why sites like FundedByMe launched and are gaining traction. FundedByMe.com has been global from day one and has several UK & American projects. Also launching equity-crowdfunding in September. It is great to see Kickstarter opening up to UK projects, lets hope that it raises the profile of crowdfunding over here and really shows people how powerful a concept it really is! If you are looking to crowdfund a creative project, http://www.PleaseFund.Us is based in the UK, but helps projects from all over the world! This gets interesting, especially since PledgeMusic has just started to expand their business as well. They came up with a german site recently. people in europe can already use gofundme with the same features. I hope some day Kickstarter will come to Russia. No real surprises that they picked the UK… A competitor just launched this week in London. Seedrs looks to target the UK and all the EU. Although Kickstarter and Seedrs are obviously in the same general crowdfunding space, they’re very different operationally: Seedrs is about raising cash for equity. Kickstarter is not. That’s important for a couple of reasons: it makes the sort of projects very different (the headline projects on KS may be the sort of thing you could find on Seedrs, but the vast majority of creative projects would not fit there) and it makes expansion far easier for KS (they’re trying to get tax issues sorted, Seedrs needs regulatory approval). This came from Finland. I’m not sure how they managed that if what you say is true. Basically you have been able to run a campaign from outside the US, as long as you run the money through an account linked to a valid US tax ID. I know it’s possible: I’ve done it, and I’m based in the UK. But while it can work for a few who (basically) have a friend who is prepared to handle the money, it’s effectively a loophole: until now it’s made the platform inaccessible to the vast majority of people outside the US who want to run projects. This is different.